Today, I am beyond excited to celebrate the rebrand of Wedding Words! This spring Katelyn, who is based out of New York City, reached out to me regarding the brand for her business where she is a professional wedding vow and toast writer. She collaborates with brides, grooms, or guests speaking at a wedding to write their vows or toasts and remove their stress from the process. She is so incredibly talented and has a beautiful way of putting your heart into words. She has also been featured on Aisle Perfect, Bridal Musings, Destination I Do, The New York Times, and The EveryGirl. 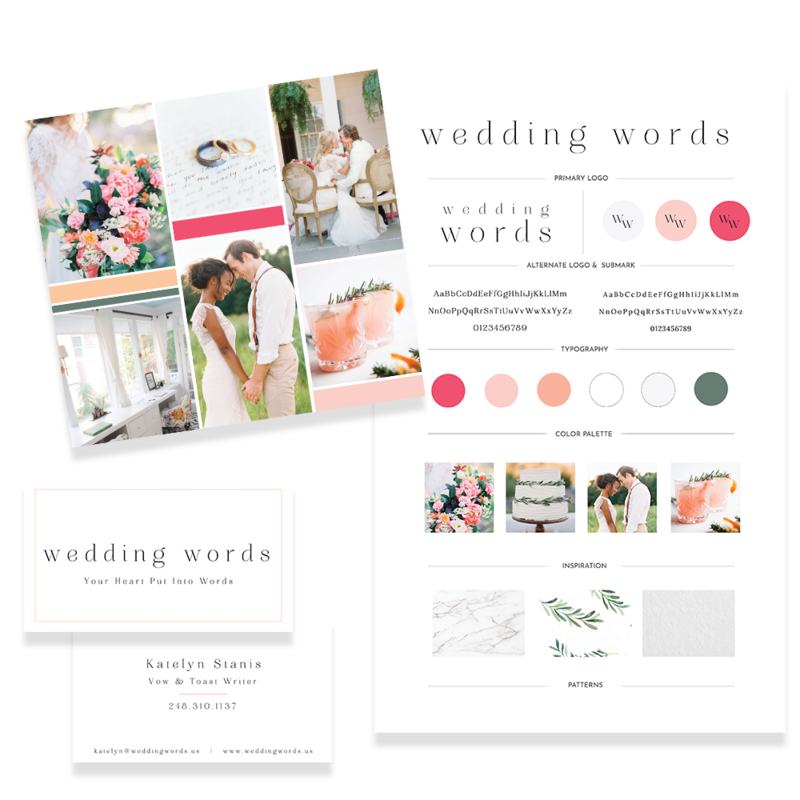 The design process started with an in-depth homework session for Katelyn to answer many questions regarding the vision for Wedding Word’s rebrand and website design. Some of the questions included detailed information about the overall aesthetics, ideal clients, and future goals. Once the mood board was designed, I started on the logo design concepts. We went for a classic logo, that provides you with a breath of fresh air while looking at it. From there, we went right into the design of her business cards. With my branding packages, I offer an additional collateral piece. 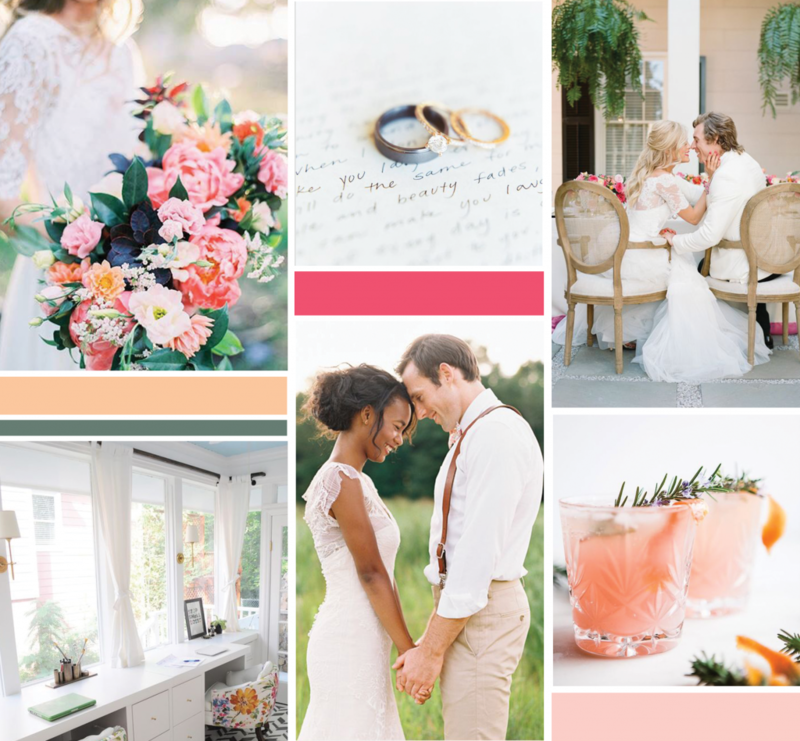 With Katelyn planning on developing some fun things for DIY brides in the future, she needed PowerPoint slides. And although, it had been years since I touched PowerPoint I had so much fun creating these for her! We also created social media templates that she could easily edit in Canva. Be sure to head over to her website, and if words just aren’t your thing and you need help finding those perfect words for your wedding, or a wedding that you need to speak at definitely reach out to her! It’s crazy to think that it’s already July, but with the new year fast approaching now is the perfect time to start thinking about rebranding your business if you have recently found your business shifting and up-leveling. You need to be able to reach your ideal clients, and I would love to help you get there! Hop on over to my contact page and let’s set up a time to chat all about your business, your dreams & vision, and get you the brand that you desire!